With just approximately 2 more weeks to the due date for the filing of individual income tax, I would like to share this calculator for Parent Relief. Before going into details, let us take a step back for the uninitiated and have an overview of the parent relief. Dependent was living in Singapore in 2017. Dependent living in the same household as you. If the dependent lived in a separate household in Singapore in 2017, you must have incurred $2,000 or more in supporting him/her in that year. Dependent was 55 years of age or above in 2017. If not, he/she must have been physically or mentally disabled. Dependent did not have an annual income exceeding $4,000 in 2017. This income threshold is not applicable for handicapped dependents. *For ease of reference, the dependent is defined as parents, grandparents, parents-in-law and grandparents-in-law. 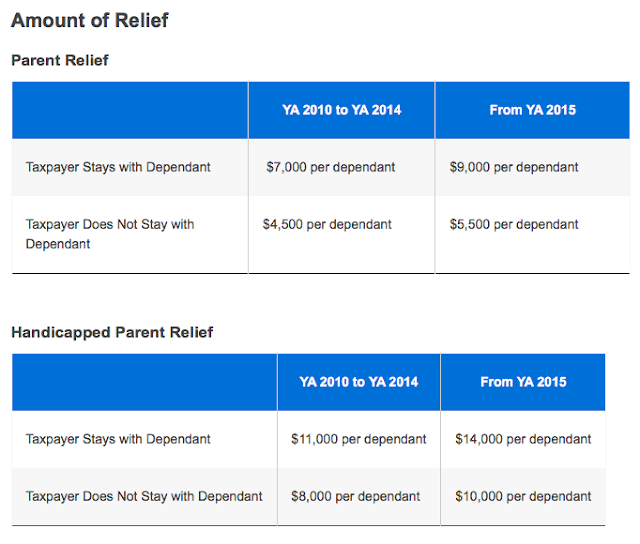 One important thing to take note of is that yo may only claim the Parent Relief / Handicapped Parent Relief for up to maximum of two dependants. The parent relief is not something new but it is only from 2016 onwards that the parent relief can be shared between claimants based on an agreed apportionment. As my brother and I do not have prior experience with this relief, he casually threw me a question, "How much should I claim?" which prompted me to investigate and find the optimal amount to split the relief between us so as to maximise our total tax savings / minimize the total tax payable. Given that higher income incurs a higher income tax rate, it would make sense that the priority to claim tax relief be assigned to the higher income earners to maximise the tax savings. If the income of a claimant falls at the lower end of a tax group, it will be beneficial for him to claim the tax relief so as to drop to the lower tax group and save on the fixed tax incurred in each tax group. But which of these rules take precedence? The tax-savvy ones would probably already have an answer to that and able to formulate the universal method. Being a typical kiasu Singaporean, I want to be on the safe side and go through all possible permutations to derive the maximum tax savings amount. Unable to find the ideal resource online after several attempts, I have decided to build an application using R and "outsourced" the calculation to the computer due to the massive range of permutations. This would also save me the hassle of going through the calculation every year. Under the Overview tab, you can key in the net chargeable income before parent relief for Person 1 and 2, as well as, the relief amount. For simplicity's sake, please omit the "$" and "," in your input. The maximum amount of tax payable saved will be shown under the header, "Maximum Tax Savings". Under the Scenario tab, it will show a few of the scenarios which are commonly selected. The endpoint scenario which refers to the max/min of relief to be claimed by person 1/person2. The midpoint scenario refers to the middle scenario from the 2 endpoint scenarios. Under the Table tab, it will show a table of all possible combination of the relief shared between 2 claimants that will yield maximum tax savings. The usage of the calculator assumes income transparency between siblings, which sometimes might be regarded as a taboo topic to begin with. I have embedded the calculator for your usage at the end of the post. The calculator may at times, get disconnected from server due to inactivity timeout. You can click on "Reload" to continue it. The desktop version of the calculator can be found here. Disclaimer: Kindly note that the calculator is not endorsed by the relevant authorities. The Boy who Procrastinates has created the calculator for his own reference, with the hope that it will benefit others as well. 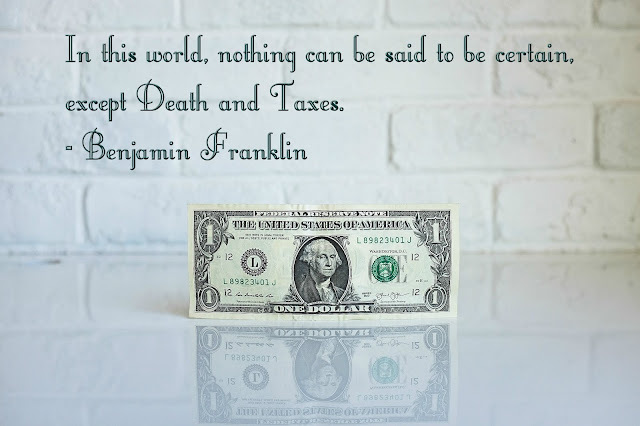 Please do not hesitate to share this with others if it can help them manage their taxes.